Bangalore City Railway Station becomes SAP friendly on Saturday, 4th April, 2015. 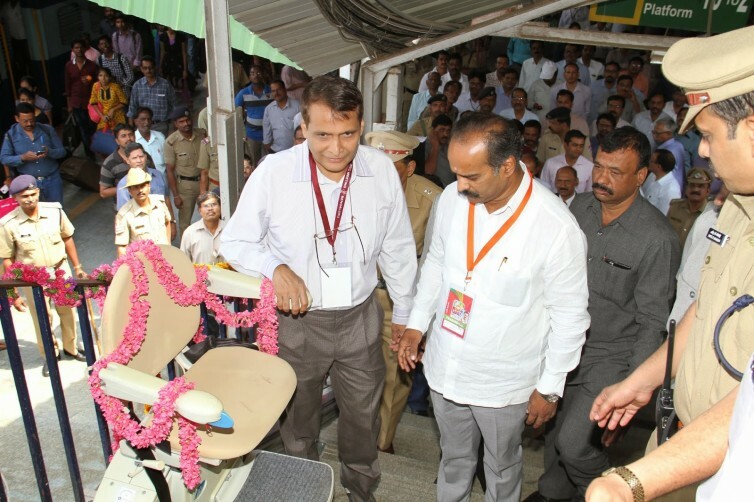 Honourable Union Railway Minister Shri Suresh Prabhu bought a bouquet of happiness for the specially abled people of Bangalore, by inaugurating a stair lift at Bangalore City Railway Station. A stair lift can carry a passenger up and down. The specially abled person just requires to sit on the stair lift and the lift moves up, or down as required. Stair lifts are better than the wheel chairs. If there is a wheel chair at a railway station, the chair alone can not help the SAP. SAP needs some one to pull or push the wheel chair, sometimes even 2 additional persons are required to move the specially abled person up or down. By using a stair lift, the SAP becomes independent to climb up or get down. He/She is just required to sit in the lift, lift moves and the SAP reaches up or down. What a good facility! Bangalore City Railway Station becomes the first railway station in India to get such facility. Union Railway minister announced that, gradually all the railway stations of India would get the same facility. “Voice of Specially Abled People” thanks the Hon. Railway Minister for accepting and implementing various suggestions regarding Making Railways accesible and friendly for SAP and we hope, very soon all the Railway Stations in India will become SAP friendly. 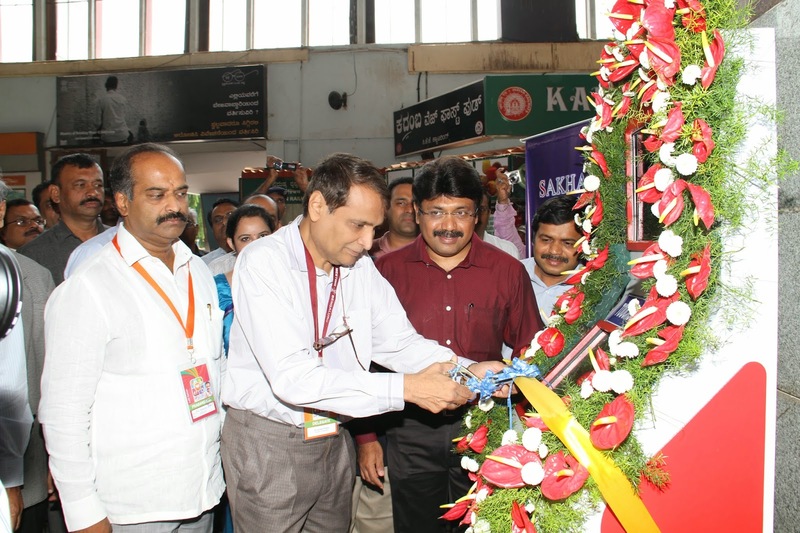 The Railway Minister also inaugurated SAP friendly information kiosk at Bangalore City Railway station. The same kind of accessibility solution(s) can be implemented in other Govt. Departments, offices, companies and it is much easier than the normal lift. Stair lift can be installed at ATM outlets, banks, hospitals and even inside the home to solve the accessibility issue. It is cheaper, convenient, and safe accessibility solution.